Norman Henderson “Norm” Donald, III, 80, of Dawsonville, GA, formerly of New York, passed away peacefully at his home on July 11, 2018. Norm was born November 1, 1937 in Denver, CO to the late Norman H. Jr. and Angelene Donald. He was a graduate of St. Paul’s School in New Hampshire, Princeton University and Harvard University Law School. After graduation, he worked at Davis Polk & Wardell, LLP before joining Skadden, Arps, Meagher, Slate & Flom, LLP where he was a partner specializing in mergers & acquisitions for decades. 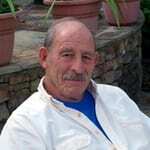 A member of the Union Club in New York and Rotary International, he was an active member of the Dawsonville Community. He enjoyed international travels, golf, and reading. Norm was also preceded in death by a son, Norman H. Donald, IV; and sister, Annette Donald. He is survived by his daughter and son in law, Helen and Silas W. Smith, New York, NY; two grandchildren Addison and Alston Smith; and his brother Williamson Pell Donald. A pot luck memorial gathering will be held Saturday July 14, 2018 from 12 noon until 2 p.m. in the Fellowship Hall at Church of the Apostles, 34 Grant Road West, Dawsonville, GA 30534. In lieu of flowers contributions can be made to the Dawson County Humane Society, 633 Martin Road, Dawsonville, GA 30534.